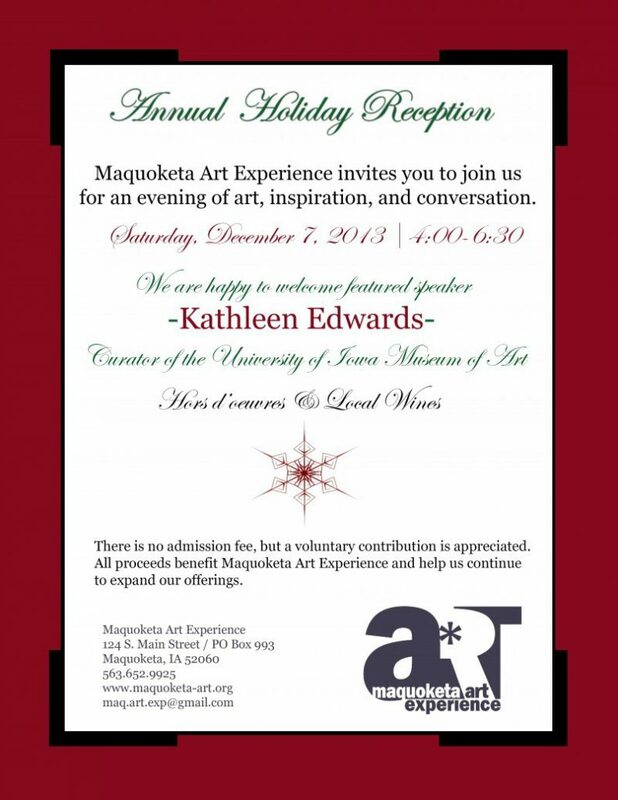 Maquoketa Art Experience invited everyone to join them for an evening of art, inspiration, and conversation at their third annual reception. They were happy to welcome featured speaker, Kathleen Edwards, Curator of the University of Iowa Museum of Art. Local wines and hors d’oeuvre were served and a good time was had by all!